Anytime from anywhere find out who is our guest on Stories Of The Upstate™. Check in and listen to the latest Downtown Jam™ free concert series. OR listen to any of the "Stories" in our archives or a past concert - they're ALL here! Take a look around. Share it with friends. Subscribe to our Stories Of The Upstate™ on iTunes or Stitcher app to get all our stories and concerts on your smartphone and like us on Facebook. And - if you want, please drop by our "Tip Jar" and pay it forward to help us continue to reach more people and improve the show. We love to throw the spotlight on local singer-songwriters. Click on the "listen here" button below and you'll see that you'll be taken away to the land of free concerts. You can literally begin listening to free concerts on your smartphone, computer or tablet. On the second Wednesday of each month, we launch a fresh and new free concert featuring local singers-songwriters or bands from Upstate, South Carolina. The musicians are different each month, but we always highlight the hot Upstate music scene and Charles Hedgepath is our musical director of The Downtown Jam™. Click on any box above and hear one of our last three (3) concerts. If you don't know about our podcast yet, The Downtown Jam™ is part of Stories Of The Upstate™ Podcast on both iTunes and Stitcher app. You can like our Facebook page @ Facebook.com/StoriesOfTheUpstate. Imagine a place where you can sample free local music anytime - that's GreatUpstate.com. GreatUpstate.com is our website dedicated to the unplugged concerts and music episodes of the podcast Stories Of The Upstate™ (iTunes, Stitcher app). Our show is a free radio style personal interview show and concerts for your smartphone. Interviews about life, concerts about fun - all on your smartphone on - demand from anywhere when you subscribe to Stories Of The Upstate™ on iTunes or the Stitcher app (In your app store on your smartphone). You can also find our interview episodes on GreatUpstate.com as well. We have a free unplugged concert for your smartphone, tablet or computer on the second Wednesday of each month. All of these concerts live on-demand on GreatUpstate.com so you can literally go back and listen to any of them and the fresh new concerts we add each month. We call it our archive and all of these concerts live right here on GreatUpstate.com. Please share our Facebook pages (Facebook.com/GreatUpstate and Facebook.com/StoriesOfTheUpstate) with friends, family and the people in your life who love music and concerts. Loyd Ford hosts Stories Of The Upstate™ and is a realtor working with his wife, Theresa, as the Great Upstate Properties Team @ Keller Williams Greenville Central. His background is broadcast media, including an earlier role in his career as the program director that worked on the team that helped WSSL 100 become the number 1 radio station in Upstate South Carolina. Stories Of The Upstate™ can also now be heard on 99.5 Jack FM and Hot 98.1 Sunday mornings @ 7 a.m. and look for our interactive music page in each issue of Fete Greenville. 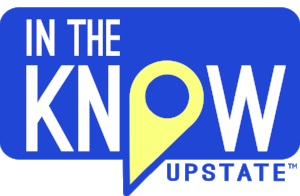 Like our Facebook page to see visuals associated with the show and to keep up with what is coming soon @Facebook.com/Stories of the Upstate. You can also see some of our guests on the second Tuesday of each month on Your Carolina @ 10 a.m. on WSPA-TV, including music performances by local musicians on our Downtown Jam™ free concert series.